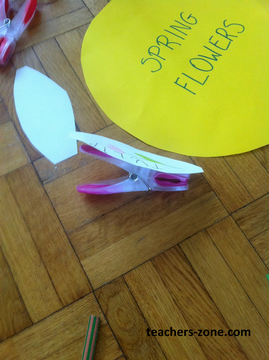 Show flowers or pictures and name each one. Ask your students to repeat the names. 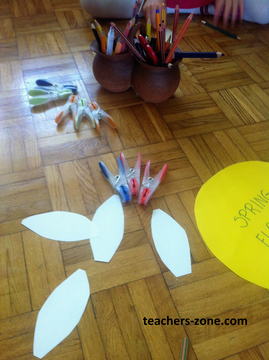 Then ask some questions about the colours of flowers' petals and flowers your students like. 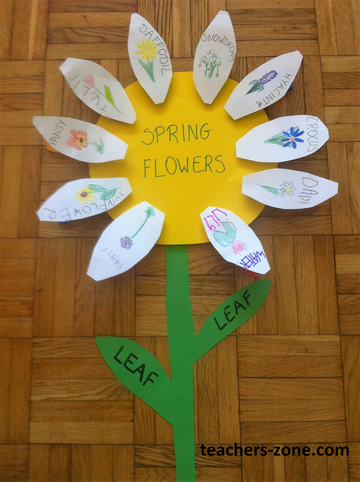 Give out your students petal-shaped papers to draw spring flowers and label them. 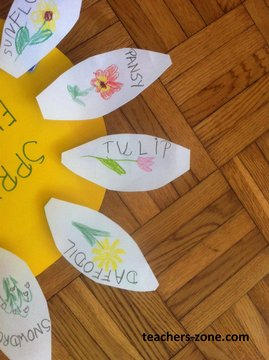 Children stick their petals to the clips (they can use Blu-tack) and form a flower around a yellow circle. 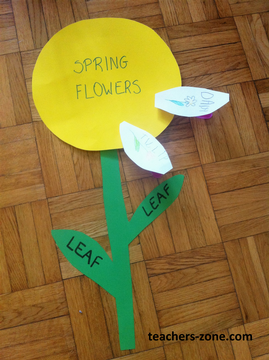 If only it is possible, take your students for a walk to the park or garden. 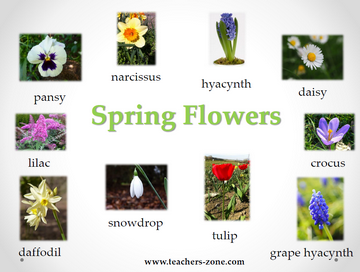 It will be a great fun for them to find and name spring flowers in English. 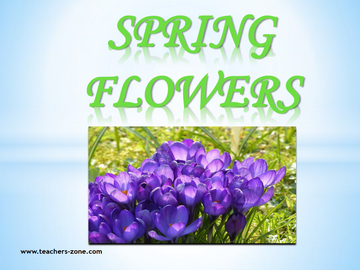 You can ask them to bring one of spring flowers to plant in the school garden or in pots in the classroom. It is a fantastic learning experience to observe growing plants.